1 How long to cook beets? 2 How to cook beets quickly? 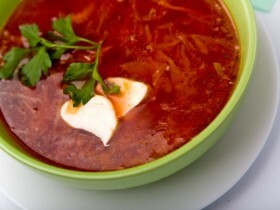 3 How to cook beetroot in multivarka? The benefits of beets, as a food product is known since ancient times. The roots contain vitamins of different groups (BUT, AT, WITH, PP and many others), nutrients (copper, phosphorus, potassium, iron, magnesium, iodine, zinc, etc.) and bioflavonoids. Beetroot is an excellent natural antioxidant. She must eat people, suffering from anemia and other blood diseases. hypertension, rickets, infectious diseases, obesity, Atherosclerosis can beat much faster or even prevent, if there is a beet. How long to cook beets? Many people wonder: Whether it retains all its useful properties of boiled beets or her best to eat raw? Unlike the vast majority of other vegetables, beet even after the heat treatment will not lose hardly any of its healing qualities. To prepare a tasty dish and keep the beautiful color of this vegetable, you need to follow certain rules and cooking terms. 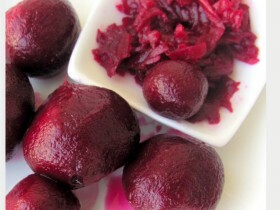 Usually indicated in recipes, that you need to cook beets 50 minutes. In fact, one fruit may be ready in forty minutes, and the other for an hour and not Dowar. Therefore, after fifty minutes laid need to check with a knife or a stick beets on the hardness and lack of readiness to leave it to cook more, but in every 5 minutes to carry out control in the same manner. Before cooking vegetables necessarily clean, cut both the upper and lower root, cleaned from the skin is not necessary. How to cook beets quickly? There is one secret, allowing to reduce the cooking time of beet almost twice: for this fruit should be cooked for half an hour in the usual way, and then place it on 15-20 minutes in a freezer. As a result of the sharp temperature drop root completely softens and is ready for use. Svëklu, brewed for laid 50 minutes, cool so you can not. The fastest root cooked medium-sized oblong. Vegetables should be rich, dark red color. In a saucepan, which you will need to cook beets, dialed cold water sufficient (placed there to root later were completely hidden). Capacity is placed on the plate. You must wait until boiling, and only after that the vegetables are placed in water. To beet has not changed its beautiful natural color, you need to add water or lemon juice, or ordinary sugar (tablespoon per gallon of water). To check, whether root welded, you need to use a knife or a stick - beets must be softened completely, until the middle. 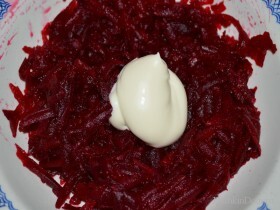 How to cook beetroot in multivarka? Boil the beets in multivarka need only forty minutes when using the "Steam". The capacitance Multivarki dialed water to the bottom mark, laid in a basket tubers cut in half. It is recommended to put up cuts, to avoid the loss of beet juice. If the root is very small, it can not be cut at all. Cooked beets easily peeled, if it is, more hot, place for a few minutes in cold water. After that, from it is possible to prepare a variety of useful and tasty meals. How and how much to cook corn? How to cook the soup right? How to cook stuffed peppers in multivarka?